Back to Homeschool Art and Drawing Gift Basket Giveaway - Look! We're Learning! 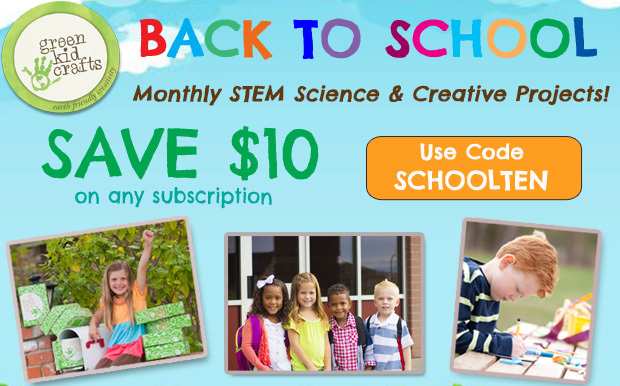 We’re celebrating back to homeschool time with a fun Art and Drawing Gift Basket Giveaway! Last year, we shared in the annual Back to Homeschool Gift Basket Giveaway hosted by iHomeschool Network and we had such a great time that we decided to participate again! Read on to see what we’re giving away, how you can enter to win, and what our fellow bloggers are giving away this year! This year, we decided to go with an art and drawing theme. Coloring books for adults are all the rage right now, so we’re offering quite a few coloring books with designs intricate enough to keep Mom and Dad entertained! There are also a couple of drawing books by Ed Emberley and some advanced coloring books for kids! Note: All of the books will be shipped in a USPS box (minus the basket) to the winning entrant. To enter to win all these awesome art and drawing books, use the Giveaway Tools widget below! To get a look at all of the awesome prizes that are available, visit the Back to Homeschool Gift Baskets linkup at iHomeschool Network! I’m one of those adults that loves a good drawing book. This is a super-fun basket, Selena! I like to color with my kids. I like to color, but my kids don’t. Hoping to find something to inspire them! This basket makes me drool!!! Hope to win!! We love art! This would be great! I have just entered the world of adult coloring books, which I find very fun! Your giveaway looks very nice — thanks for offering it! I’m posting again, but only because I may not have understood the original process — sorry! Please feel free to delete if necessary. I DO love to color in my spare time, when I find spare time! I have just begun using an adult coloring book of country scenes. It’s very therapeutic! Thanks for your generous basket offer! I find coloring very relaxing and have colored paper dolls from different time frames and given them to my grand daughter. 220 pieces in all! I love to color with our little ones! Coloring is SO relaxing. You have to lead by example, right? I do like to color in my spare time, especially with my kids. It is so relaxing and fun. We love to color together. I am so excited about this giveaway. I have been wanting to incorporate more art into our homeschool! I like to color with my kids. It brings back childhood memories. i haven’t colored in years, but i should, it is so relaxing! This looks so fun! Thanks for the chance to win! 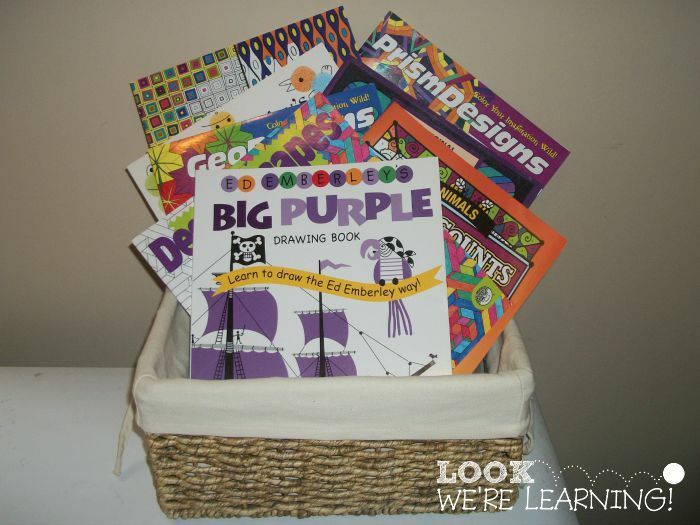 We have decided to add art to our homeschool schedule this year, so this basket would be a perfect help with those plans. Thank you so much for offering this wonderful gift, even if we don’t win I’m sure someone will appreciate winning it! Yes, I enjoy coloring from time to time along with doing many other crafts too. I have had some kind of coloring activity for our son to do each year in his studies since we started homeschooling when he was four and he’s twelve now. Since one of my grandsons has learning disabilities, we color almost daily. It is soothing for him (and me)! I actually do enjoy coloring. It’s a nice way to relax and, as a mommy now, to enjoy time with the kiddos! Love your basket idea. Great resources! we love to color at our house. It’s a great way to relax and spend quiet time together. I enjoy coloring with sidewalk chalk outside with my daughter. I would love to win this basket! My kids are all little artists in the making and this would be so much fun for all five of them! I never have time to color! My kids prefer drawing on blank paper to coloring but when we take road trips they love coloring books. Go figure. My girls and I LOVE to color in very detailed pages. The harder the better! Great giveaway! I loooove to color! I think I love it more than my kids do! Such a great stress reliever. I would love to color in my spare time, if I had any! We actually color ALL the time in our house. Probably the adults more than 15-year-old Sarah, though she likes to as well! I DO like to color in my spare time…whenever that is!! What a wonderful basket full of creative things to do! We love to color! I usually get into it more than my younger kids! Fun giveaway my kids can never have enough books and now that I am making my son read to my daughter at night before bed we need even more. These coloring books would be great fun for us during read alouds! Hmmm, I hear that coloring is relaxing for adults, so maybe I would try! Thanks for the giveaway! I’m not much of a colorer, but my girls enjoy it–almost as much as drawing! They particularly like mandala and geometric designs. Thanks for sharing! I enjoy coloring still very much! I do like to color and so do my boys! Thanks so much! Looks like new resources I haven’t heard about. My daughter likes to do art, and I’m running out of resources. 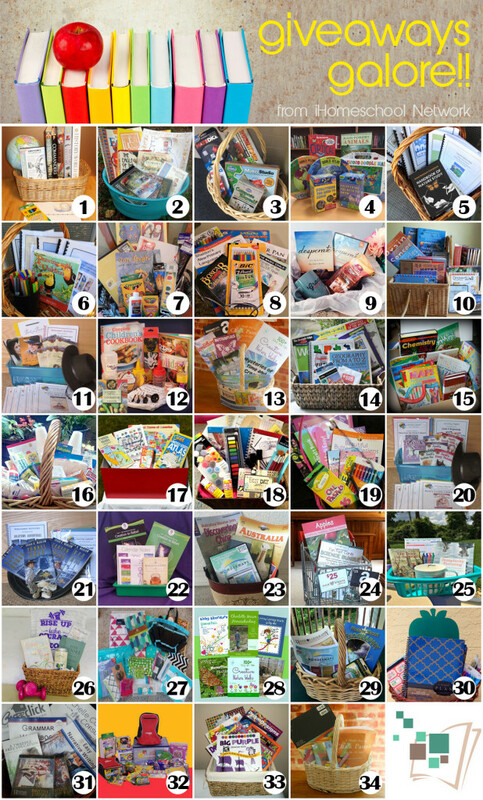 Would love to win this basket of books. My daughter and I love to color, depends on the day if it’s crayons markers, pencils, sharpies, or paint. We all love to color around here. My older boys enjoy the more detailed coloring books and will sit and work on them for long periods of time. Great giveaway–Thanks! My daughter would LOVE this basket of goodies! She searches Pinterest every day to find new characters to draw! She has grown out of coloring (at age 9), but I still color with my 7-and 2-year olds! It’s relaxing!! I love to color and work on creative projects in my spare time! The best way to get my kids interested in art is by having them see me doing something artistic. What is spare time? LOL! But yes, I do like to color! I personally LOVE to color. I love everything about art but give me a coloring book and nice crayons and I could get lost. I love to color!! It’s so relaxing!! Thank you for this great giveaway! I love to color and draw with my kids! Yes. I do. I would love more books for me and the kids. It’s calming and relaxing. I love to color have a few books and print off freebies off Pintrest. I do enjoy coloring, but rarely have the time to now with 7 young kids. My son loves drawing this would be great to spark some more creativity! My daughters and I really enjoy coloring. We like to use colored pencils or crayons, even chalks! Having these “grown-up” coloring books saved our sanity on a 24 hour car-ride from Montana to Michigan. We all color! I love to color to relax! My kids color all the time to calm themselves down and re-focus. We love Ed Emberley (don’t have the Big Purple yet), and they just started getting into abstract mosaic pages. Thanks! I love coloring with my kids! Coloring is relaxing. My whole family would love this basket. I love to color more than my kids. I love to color!! My boys color during art class, but they don’t enjoy it quite as much as I do? I don’t color, but I have older kids that do. And they would love the drawing book. I rarely have time, but I do LOVE to color. I LOVE to color with my kids! It is very relaxing for all of us and I love the fun discussions that happen when we sit around and doodle, draw, craft, or color! What a great gift basket! Hope we win!!!!! Are you kidding? I love to color!! I am 62 and I still love to color. I just got new colored pencils and one of those fancy coloring books. Very relaxing. 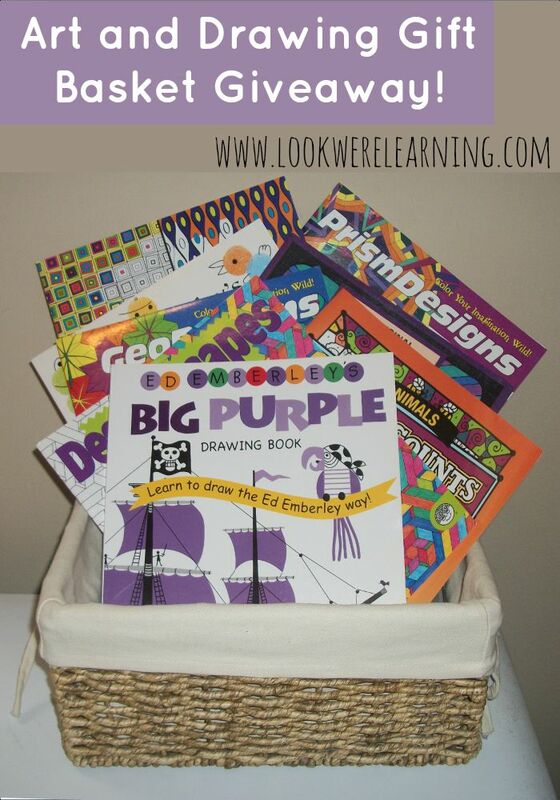 I love to color, this is a great basket!! i hate coloring with crayons but love markers! I find coloring so relaxing! I love working on pages with my little ones. Thank you for the great opportunity to win such fun prizes! I love to sit and color with my kids. Its funny because I don’t know if I like to color or not. I never do it. At this point, I usually get annoyed with coloring utensils because my kids leave them out or my 2 year old draws all over the walls. Even so I am adding art to our homeschool this year! I do enjoy to color, but I don’t usually find time to unless I color with my boys. My daughter occasionally let’s me color with her. I find it fun. I LOVE to color. I recently purchased a lot of craft activities for my son and I to do together. Most of them were coloring. I love to color and draw, and try to pass that love to my children! This is an awesome basket! I have been longing for an adult coloring book! My son is also really getting into art and drawing lately, so the drawing books would be awesome! We love to color and zentangle! Love the art theme!! Thank you! I like to color. Always have. My daughter and I both love coloring. if I only had more time! but my daughter loves it! I admit I love to color and I’ve actually placed first in a coloring competition. 🙂 The best part was the looks on my coloring-crazy daughters’ faces when I won. I like to color but don’t get to very often. I don’t like to color a whole lot, but I love to draw! I don’t but my kids sure do! We love to color in this family! I love to color! I have anxiety and this really helps me to unwind! I love to color with my kids! I enjoy coloring when I have time and doodling. lol All my kids love drawing and art. Thanks. This looks wonderful! Thank you for giving us the chance to win. All the kids love art – excited about this giveaway. I find coloring to be very relaxing and a fun way to enjoy quiet time with my kids. I LOVE to color in my spare time! I find it incredibly relaxing! To be honest I do not take the time to color much anymore. I always loved to color in my younger years. We use coloring books in our studies. My girls love to color while I read. I have been intrigued with the adult coloring books coming out and I would love to try out the Aboriginal Mosaics Coloring Book with my girls. Thanks for the giveaway. This all looks very interesting and fun! Yes, I love to color and so do my kiddos. Thanks for the fun giveaway!! Awesome giveaway we all love to color over here. I enjoy coloring with my kids, but it is usually at their request. I rarely take time to enjoy it on my own. I’ve never been very confident in my artistic abilities, honestly. I’m hoping my kids will have a passion for art! So I’m trying to give them the tools and support they need. I have to admit that I love to color. I love to color mandelas, it is very relaxing. I love to color! Thanks. I love to color and paint in my spare time and when the kids are doing art. I have found it to be very calming since having kids! I love to color with my children. I love to color the “blues” away, great prize! I would rather doodle than color, but my kids love to do both! I have always loved to color and my daughter now loves to color. I used to love coloring and I still find myself bookmarking sites with coloring pages, but with 6 kids I can’t remember when I last sat down and did any coloring myself. My kids do lots of coloring of course. I like to color with my children. We love to color. We have been giving special adults in our lives coloring books for gifts. I try to lay on the floor and color with my boys as much as possible. I do like to color, but only when my daughter is joining in. I like to color but can’t relax while doing it…there is always something I feel like I should be doing instead. I love to color and so does my son.We love anything art. My children color frequently. I don’t color enough :). I enjoy coloring with my kids – I do a little doodling in my journal and my boys often join me, drawing beside me as I write/draw. My daughter and I love to color!! My daughter and I love to color together, and this collection of books would inspire both of us! I would…if I had any free time! I do like to color. I don’t think you can ever get too old to enjoy coloring. I love coloring with my kids. We have a coloring contest at least once a month. We turn on music and vet lost in our coloring. I love coloring and love all the new grown up coloring books that are out now too. I have a very short attention span when it comes to coloring. My kids love to color. I am going to be quite honest, I am not an artsy person at all. My son is so he would enjoy this basket greatly. I love to color. The coloring books printed on good paper are the best, because I like to use water color or gouache with colored pencils and my son likes to use markers. Sometimes I think I like to more than the kiddos! Coloring is a great way to relax with the kids at the end of a busy day. There are 6 of us who LOVE to color and draw at our house. Thank you for the giveaway, those books look fun! I do like coloring, especially the more grown up coloring books! I love to color, in fact I have my own coloring books that I do not allow my children to use at all. Yes, I am selfish about that. I love to draw and color! Coloring is one of those relaxing, soothing activities I love! I don’t often color in my spare time, but it’s something fun to do every so often. Thank you for the chance to win this gift basket! We love to color. It is very relaxing for us. It makes a great quiet activity for my son in church too. I love to color,it doesn’t matter if it is a child’s or adult’s coloring book. I particularly enjoy the holiday ones. Thanks for the giveaway. Yes, I like to color. Both my DDs love to color and draw so when I have time, I will draw and color and paint with them. But they are they artists in the house! I love coloring! Wold be awesome to sit and color with my little one. My children love art activities! Coloring is fun! Yes, I do enjoy coloring and drawing. Such a fun basket! I enjoy drawing and coloring with my kids. I love to color. I have two really great adult coloring books right now I’m working on. I’m not that great at it but I do enjoy it. I do love to color! I do like to color,especially with my kids, but I don’t make time for it too often. I don’t love to color like my mom does but I do occasionally enjoy coloring intricate designs. I normally just sketch random things. But I don’t really have coloring books around. Last night was an especially stressful day. My children and I decided to color together and it was lots of fun while relaxing at the same time. I only like to color if it is a really elaborate design and I have really high quality materials to work with. I do color on occasion with my children, but all 3 of my kids love all things art and would LOVE this gift basket!!! I LOVE to color! It’s so relaxing! I enjoy coloring detailed designs. I actually just purchased my first adult coloring book a few weeks ago! I find coloring very relaxing, but I hardly ever sit down and do it – with or without the kids around. As an adult, I love to color it soothes me. I laugh out loud when other adults look at me oddly. I don’t, but my kids do. I love to color and can’t wait till my kids are old enough to join me! I do love to color in my spare time! My sister even gave me a huge Crayon assortment to celebrate ‘back to homeschool!’ My teenage daughter finds it to be a great stress reliever too! I love to colour! My girls and i have been enjoying colouring a lot lately. I do really enjoy coloring. I find it to be very relaxing. I love to color. I enjoy creating art projects with my girls that require coloring of some sort. We try to do a lot of art projects since we all enjoy it. Coloring is fun and relaxing. All 5 of my kids even enjoy it! I like to color with my girls. Yes! I like to color with my kids. I don’t color often, but when I do (usually when my daughter is creating her own art), I am always reminded of how relaxing coloring can be! Thanks for the giveaway! I actually enjoy coloring on coloring pages more then my children do. They prefer blank paper. I love to color with my kids! And they would love this basket. I like coloring with my kids and now I have been doing some adult coloring with random shapes and colors to see what I can create. Yes, I actually do like to color on my spare time. With my HP printer you can sign up for different printables and I have them send the “adult” style coloring pages to my printer every Thursday. I have recently begun coloring again. I actually found an app that I can do “adult coloring” with. I’m not sure I really know the meaning of this thing you call “spare time” but I do enjoy sitting down to color with my children. I think I’d like to color, but I haven’t actually made time to do it yet. Yes, I love to color with my kiddos! I love all the great printable adult coloring pages that I’ve found online lately. We don’t like to color in our house; we LOVE to color!!!! I honestly don’t but my girls love coloring! I used to draw and color more, but haven’t had as much time recently. Love to color, but finding spare time is hard! I love to color! It has only been with the advent of ‘adult coloring books’ that I’ve felt validated instead of childish! I love to color. mandalas are my favorite. Yes, and I recently read an article about a study that said coloring is second only to meditation for relaxing adults. We have bought a lot of the Dover historical coloring books–both my sons and I like to color them! Thanks for the giveaway! I do color on occasion, it is actually very relaxing! I’ve had to create a folder on my computer just for all of the neat adult coloring pages bloggers have been creating lately! Love them! I love to color with my daughter! I love to color!! I have always enjoyed coloring since I was a kid, and now I color at least 5 times a week with my youngest son since he enjoys it too! I love the idea of it, but I don’t make it happen often enough. I have 3 coloring books just for mom and new colored pencils.